Posted by Atul Chitnis on 25-February-2008 . On the 23rd of February, Shubha and I celebrated our 21st wedding anniversary. 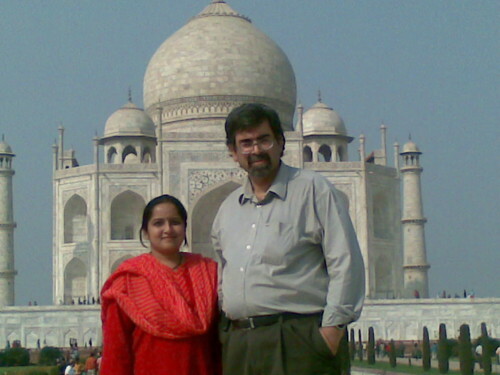 And to mark the occasion, I took her to the Taj Mahal in Agra. The photograph above was specifically taken with my camera phone (a Nokia e51) to allow me to upload it via GPRS instantly, to mark the moment. Yes, the quality is low, but you wouldn’t be able to buy the moment for a million bucks And of course, I have high-res pictures as well, like this one. More to come, along with a trip report, once I get back to Bangalore (am in Mumbai right now).